Cambodia is totally wonderful. It’s smaller than it’s neighbors and it’s just getting back on it’s feet after a pretty hectic time with the Khmer Rouge and all. But this doesn’t mean there aren’t plenty of things to do. Here is a list of 21 things to do in Cambodia – must see places and activities in Cambodia in no particular order. 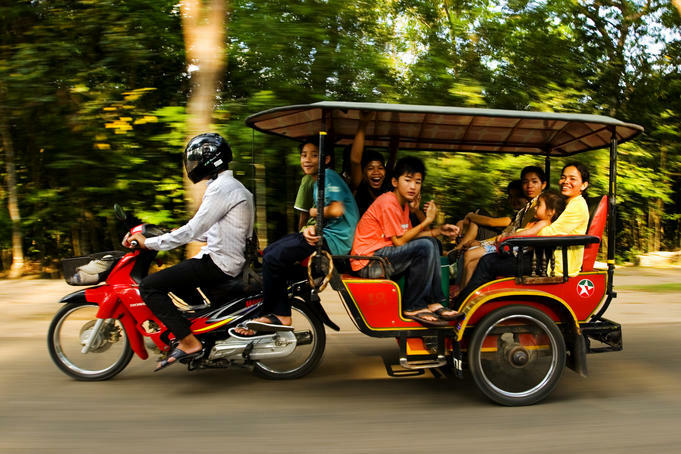 Cambodia has probably the world’s best tuk tuks. They’re essentially little cushioned chariots pulled around by a guy on a motorbike. Tuk tuks give you a chance to sit back, relax and take in the view of bustling street scape of little ole Cambodian. Plus it’s much cooler than walking. The FCC in Phnom Penh sits on the river bank and looks out at the mighty Mekong River. Sitting on the FCC balcony at the end of a stinking hot day (which is most days) is the perfect way to cool off and unwind. It also helps that drinks are cold, strong and half price everyday 5-7pm. They also serve food which is pretty tasty. Rabbit Island (or Tonsai Island) is a tiny island off the coast of Cambodia. The island is covered in thick jungle and has quiet sandy beaches, lined with coconut trees and hammocks. You can stay in a bungalow on the beach from just $7. If you’re looking for an almost untouched island get away where no one will hear you scream- this is the place for you. Boats leave the Kep pier everyday- rain, hail or shine. 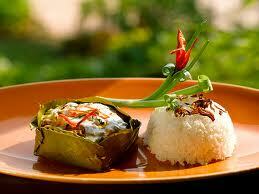 Kep is on the coast of Cambodia, about a 4 hour drive from Phnom Penh, an is famous for it’s crab. The crab is so fresh that when ordering crab at one of the restaurants along the shore, you can often see staff wading into the water to fish out a crab from one of their many traps bobbing away in the ocean. Now that is fresh. This is one of Ryan’s favorite things to do in Cambodia. This might not be for everyone, but for those who love a bargain or are into vintage clothes, Sakura Thrift Store is amazing. I’ve seen a few of these shops hidden around both Phnom Penhand Siem Reap. They’re great for finding interesting (and sometimes designer) clothes, bags and shoes and the best thing is that things are cheap, cheap, cheap. There are plenty of clothes for $0.25 USD. Amok is a traditional Kher Me curry made with meat or fish, lemon grass and coconut milk (and some other delicious mystery ingredients). It’s often served in a coconut with rice and is t-a-s-t-y. This may seem pretty obvious as one of the things to do inCambodia – Angkor Archaeological Park is Cambodia’s #1 tourist attraction and money maker, but it had to be said. The park is just outside Siem Reap and is home to dozens of ancient temple ruins. Grab a guide (you’ll learn more) and a tuk tuk and get ready for a hot sweaty day of temple lovin’. You can also see the temples via elephant or helicopter if that’s you’re that way inclined. The National Museum is filled with hundreds of ancient statues and sculptures that were taken from the Angkor Temples to be protected from the sticky fingers of looters and scavengers. The building itself is amazing and there’s a pretty sweet garden and fish pond in the middle. Good to spend a few hours, especially if you’re planning on visiting the Archaeological Park. Sihnoukville is not Thailand. The beaches are clean and lined with lounges and restaurants waiting to feed you while you sun yourself and sip fruity drinks. You can also hop on a boat and visit some islands and go snorkeling etc. At the few beaches available in Cambodia, there are always locals waiting to paint your nails, thread your legs and armpits (like plucking but with string) or give you a massage – all for a price of course. The touts constantly pestering you can get a bit too much, so sometimes giving in and just getting that $3 massage is the best option. Avoid paying the kids though- they should be in school. They might be oily and sandy, but beach massages are the best. Fried Tarantula, or a-ping, is a Cambodian favorite. The ladies believe it makes them beautiful and I think the kids just like the thrill of it all. Either way it’s there and you can eat it. You can find some vendors selling it on the streets and also in some restaurants in Phnom Penh. This might not be one of my favorite things to do in Cambodia, but hey, it might be yours. Cambodia has so many NGOs helping those in need and getting this country back in the game. Just one of them is Friends International who help street children, their families and communities. One of their initiatives is to train students for the food service industry and employ them in their restaurants around Phnom Penh. Students also create products and artwork using recycled materials and sell them in the Friends shops. NOTE: There’s plenty of these NGOs around town so do some research and find and visit one that takes your fancy. To get to many places around Cambodia the only option is to catch a bus, especially if you don’t want to pay $150 for a 30min flight. Most bus companies are mediocre but I’m happy to say there’s a new kid in town. Giant Ibis Bus Service is a new luxury bus company. The buses are new, spacious, clean, have free wifi and there’s no karaoke in sight. The bus drivers seem like they don’t have a death wish and it’s rumoured they may even hold drivers licenses. All this must be pretty pricey right? Wrong. You can travel in style for just $1 more than any other bus company. Now that’s a bargain in anyone’s books. Basically there’s a giant tub filled with fish. You put your feet in and they nibble off the dead skin. Gross, I know. Some people are into it though. But if you don’t like your feet being gently nibbled by fish you only just met, I’d give it a miss. Or have a glass of wine or two first and see how things go. There are markets all over this country but the Central Market (Psah Thom Thmey) in Phnom Penh is particularly special. It’s in the central part of town (duh) and is housed in a stunning art deco building built in the 1930s. The building itself arches up, allowing plenty of breathing room for those scavenging for bargains at the markets below. S21 was once a school that was transformed into a prison and torture chamber by the Khmer Rouge. The site hasn’t changed all that much and is definitely very eery. Take tissues. The Killing Fields are about 30kms out of town. This is where the Khmer Rough killed and buried 100s of 1000s of Cambodian people. It’s now a memorial site that you can wander around and learn about via the audio guide. Take more tissues. This massage parlor down a tiny dirt road near the night market in Siem Reap is a little different. All the masseuses are blind and trained in Shiatsu and Reflexology. This is a great way to directly support the community (and get a sweet massage while you’re at it!). The Flicks Community Movie House is a movie cinema in Phnom Penh with a difference. Instead of blockbusters being blasted out on mega screens, the Flicks offer a casual alternative. Showing a wide range of old and new films for up to 32 people, the Flicks is more like snuggling up and watching a film at a friends house while you have a few drinks. 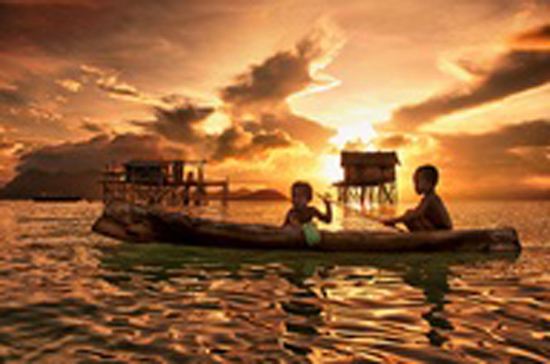 Lake Tonle Sap is a short drive from Siem Reap and is SE Asia’s largest fresh water lake. It provides half of the fish consumed in Cambodia and is filled with floating villages, huge bird colonies and an even bigger water snake population- over 4 million are caught there very year. Yuk. Orussey Market near the centre of Phnom Penh is a hive of activity where locals go to buy anything from hardware to dried fish and everything in between. This is an indoor market with several levels jam packed with hundreds of stalls and is like a hot and steamy rabbit warren. Orussey is an authentic locals market, so if you’re looking to wheel and deal and survive to tell the tale, perhaps it’s best if you venture in with the support of a Cambodian friend.